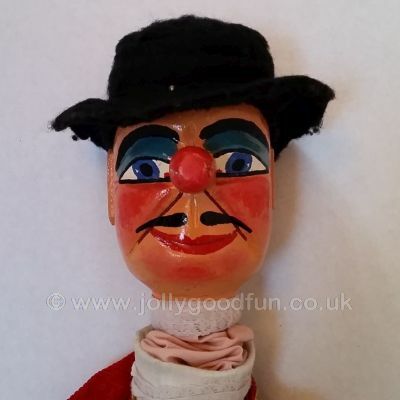 One of my favorite Mr Punch puppets in his distinctive Piccini style hat. 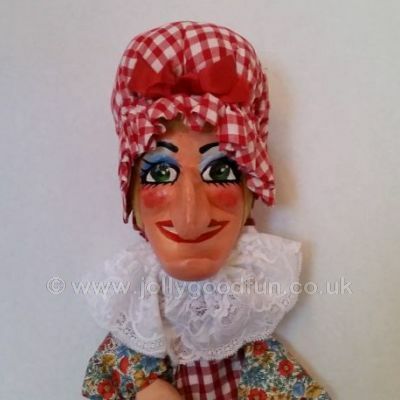 Mr Punch's wife Judy who will not stand for any nonsense. 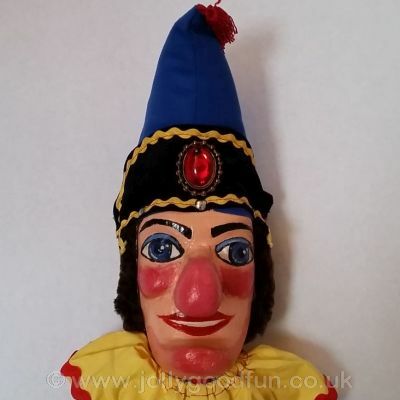 Mr Punch's friend, Joey the Clown is always playing tricks. 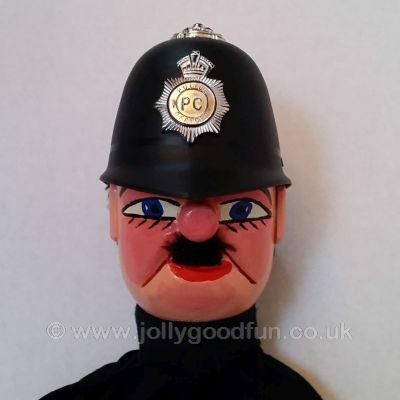 Mr Policeman who comes if Punch is being naughty. 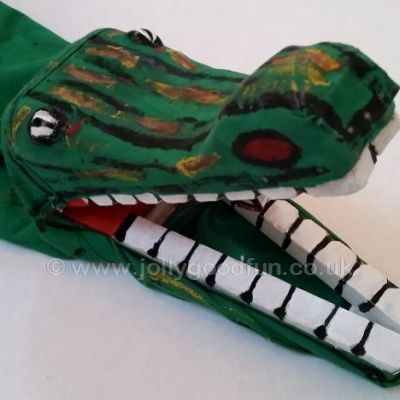 The crocodile who steals the sausages. 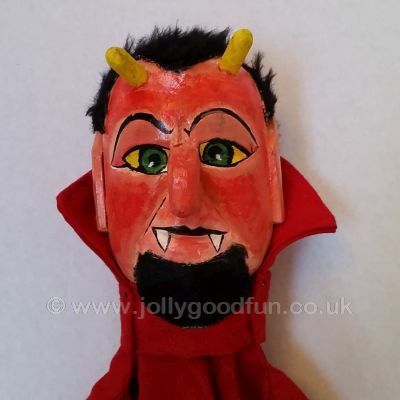 The devil who tries to take Mr Punch away for being a bad boy. 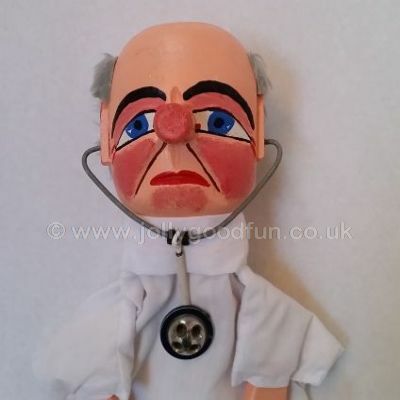 The doctor wants to give Punch a dose of his own medicine. 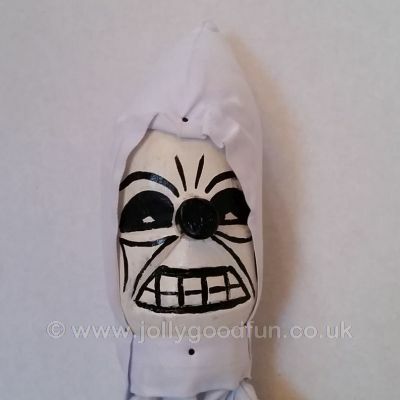 The ghost comes up and gives Punch a nasty fright. 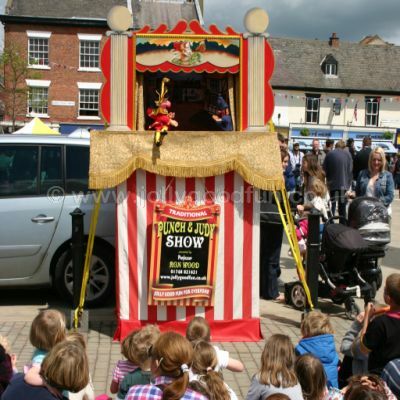 The baby is always in the show. 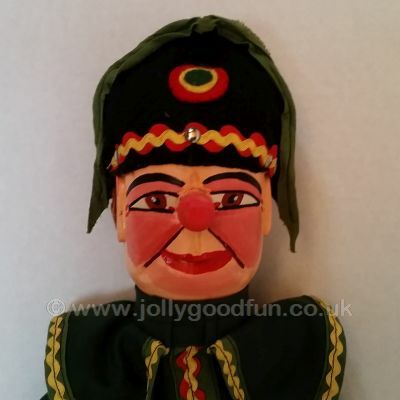 Classic Mr Punch as most people know him. 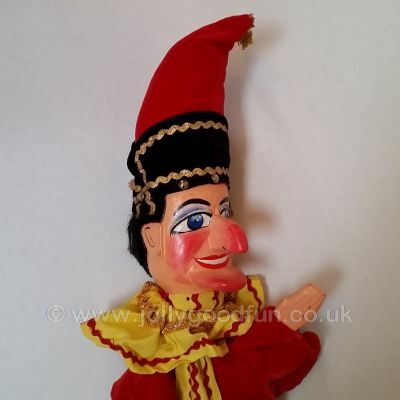 Often appears at the start on my show when his neck grows ever so long! 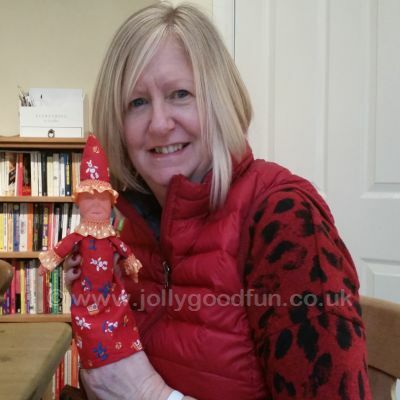 Mr Punch in a rather posh blue outfit with jewel in his hat. 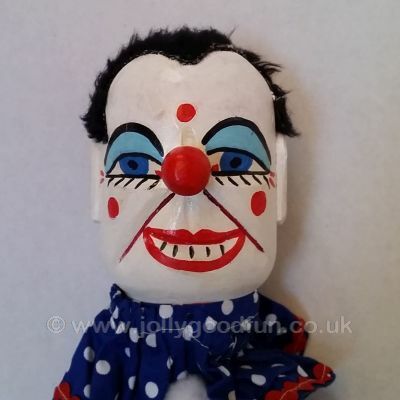 Tries to get Punch to put his head in the loop. 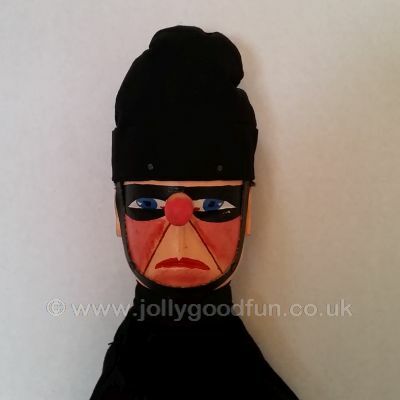 An officer of the law before proper policemen. 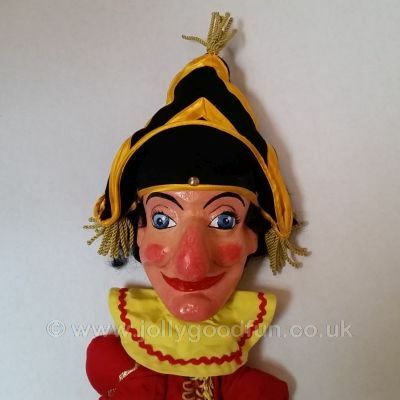 My first Mr Punch Puppet still as good as new! 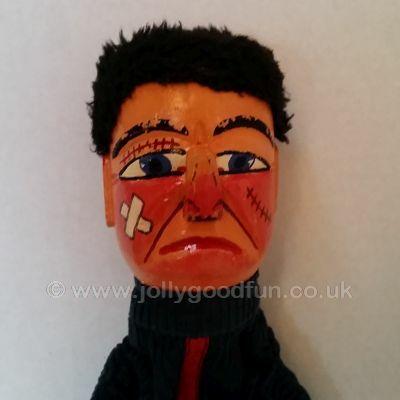 Champion boxer, Walter Woodenhead (Splinter weight). The baby has a smart new outfit. 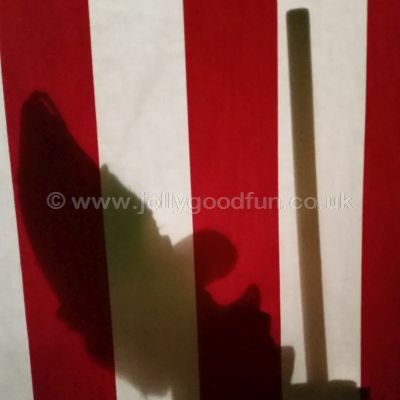 Shadow of Mr Punch inside the booth. 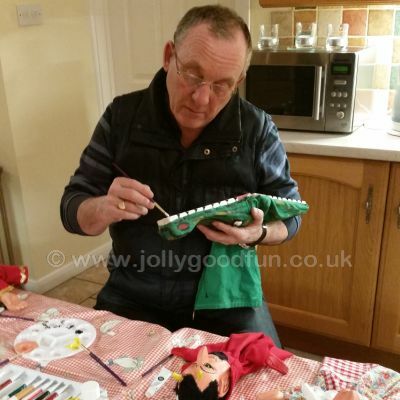 Crocodile puppet has his teeth whitened! 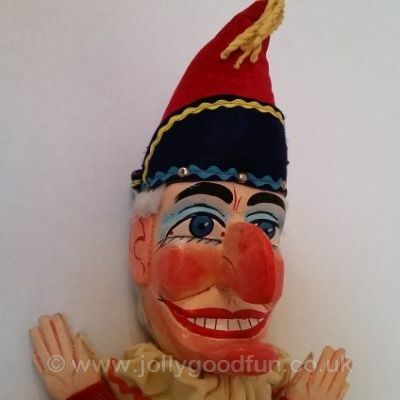 Mr Punch gets a coating of varnish. 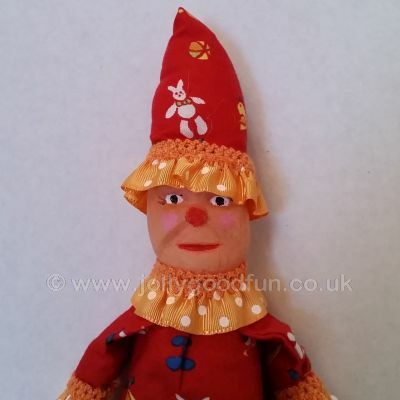 The star of the show. 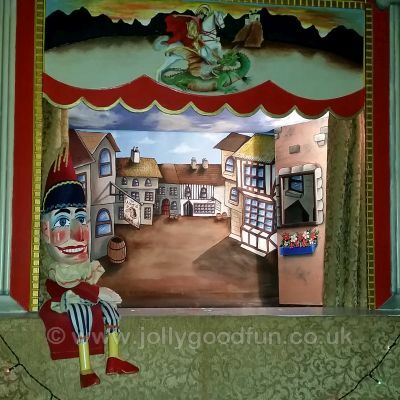 Mr Punch takes a break. 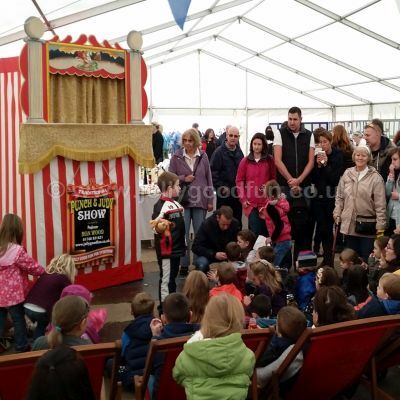 Audience waiting for the show to start at Beamish Museum. 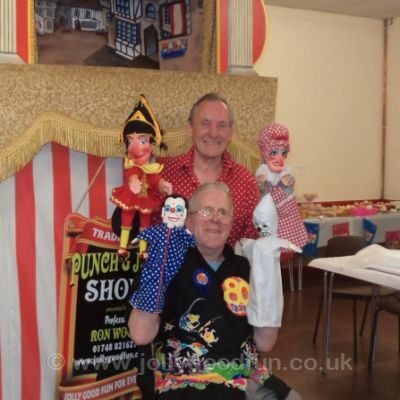 Punch and Judy fan Len's 80th birthday party in Newcastle. 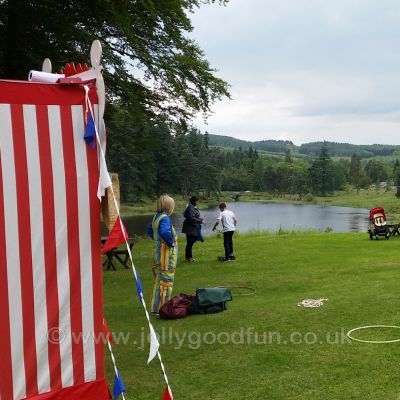 Performing at Cragside in beautiful Northumberland. 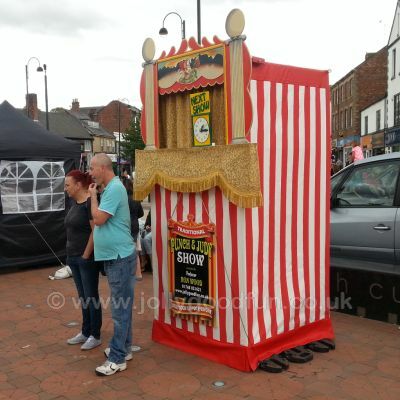 Seaside Day at Chester-le-Street, County Durham. 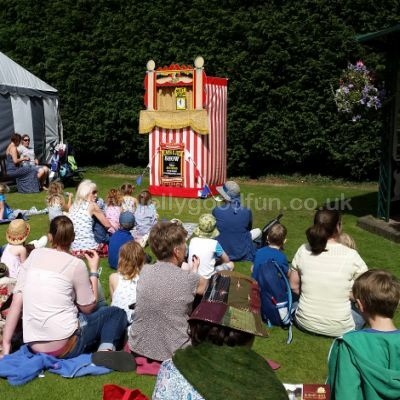 Punch and Judy at Party in the Park, Ponteland, Northumberland. 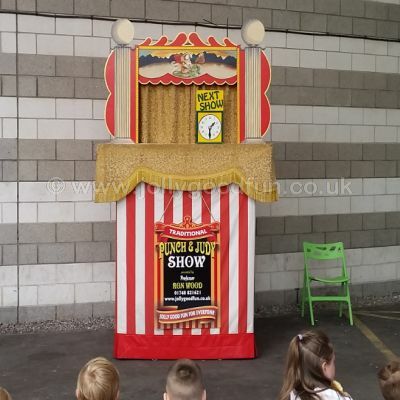 Punch and Judy Show set up at the Dome, Doncaster. 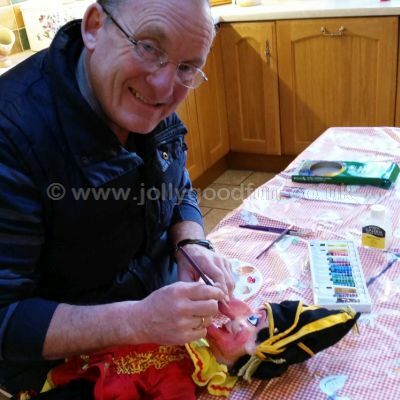 Ron working puppets at the Maritime Centre, Newbiggin by Sea. 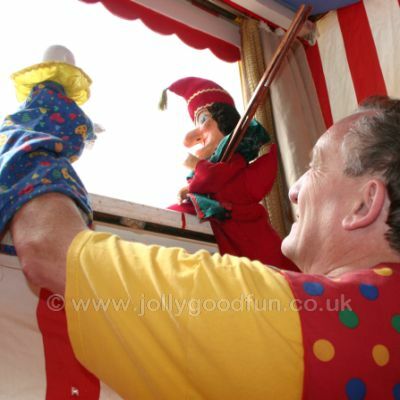 Warming up the audience for Punch and Judy at the Melton Mowbray Show. 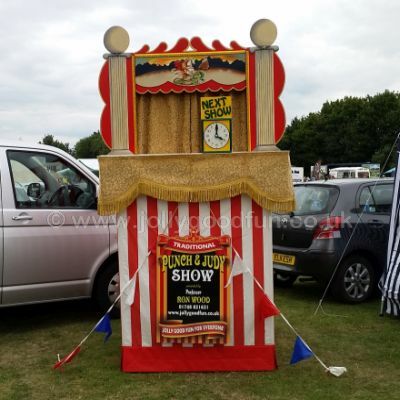 Punch and Judy in action at the Wittingham Show. 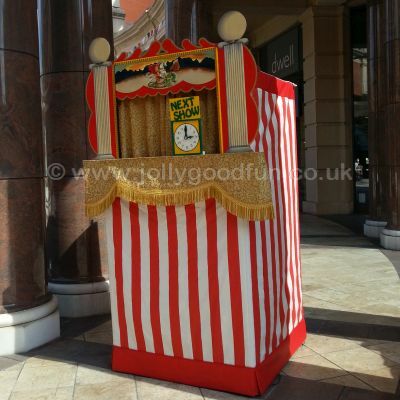 Punch and Judy set up at the Trafford Centre. 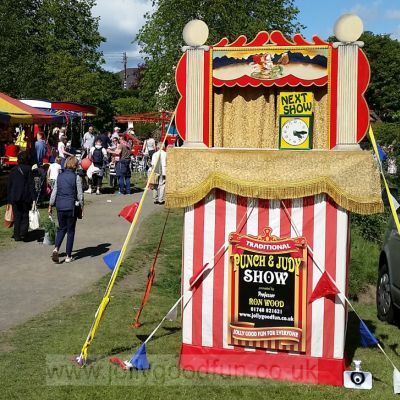 Party in the park, family fun day. 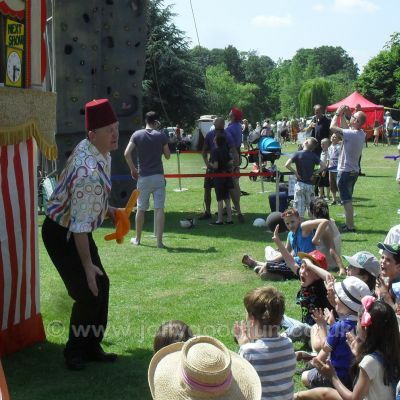 Entertaining the crowds at the Ripon Festival. 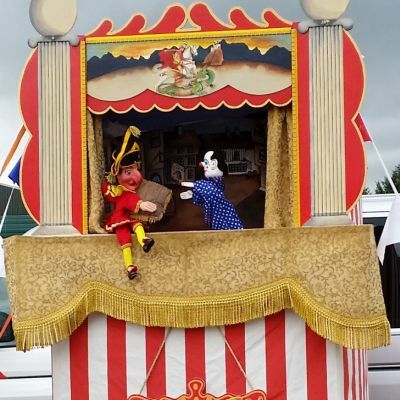 Punch and Judy in action at the Beighton Gala. 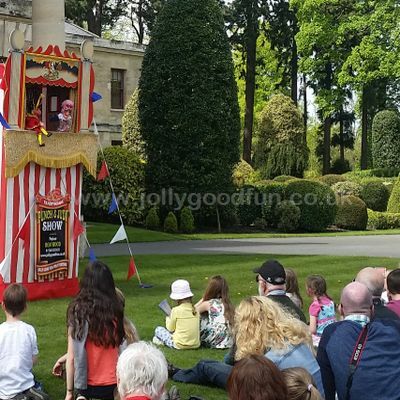 Punch and Judy in progress at Brodsworth Hall. 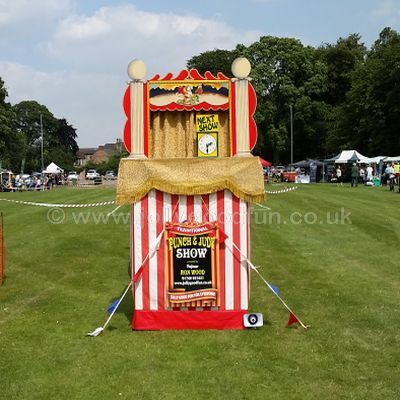 Punch and Judy Show at Burnby Hall and Gardens, Pocklington.